COME AND CELEBRATE WITH US AT OUR BIG BIRTHDAY BASH! In just over a week we will be celebrating our third Birthday. That’s right, GoClimb is almost three! And even better our friends at Air Trail also turn the grand old age of three the same weekend so that means double the amount of celebrations! So in good old fashioned style we are celebrating with a ‘Big Birthday Bash’. 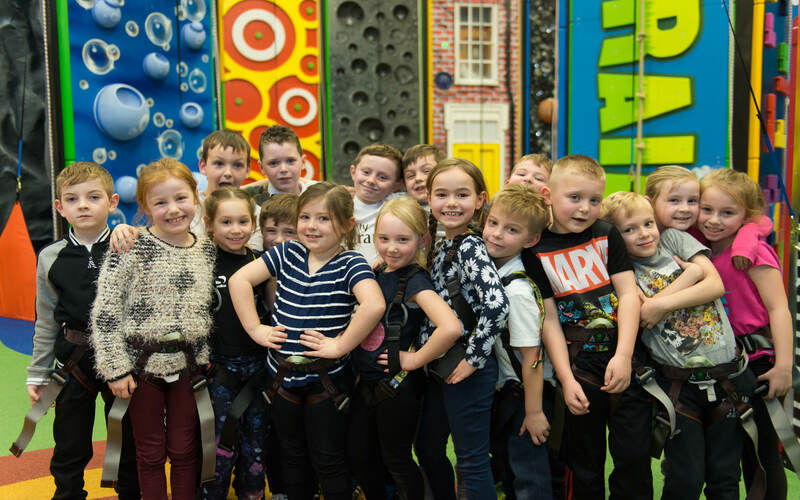 Kicking off here at GoClimb on Saturday 16th each session will be filled with plenty of fun, games and music as well as a goodie bag and cake for every climber! 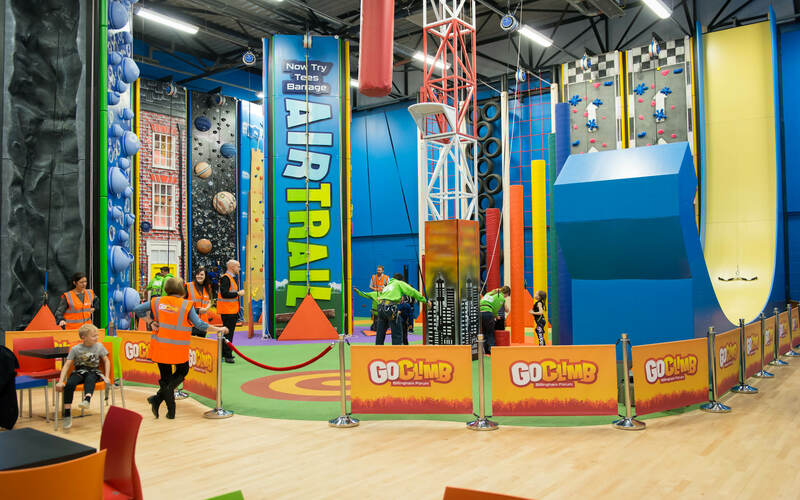 There will also be all of the usual challenges on offer including over 20 unique climbing walls, the 22ft drop slide and the leap of faith challenge – all included within the ticket price too! It’s also the first day of February half term so that’s another reason to have a party! If your not all caked out why not head down to the Atrium Cafe for some food after your session. The celebrations continue the following day (Sunday 17th) and this time it’s Air Trail’s turn! Air Trail’s Birthday Bash is 50% off if you attend GoClimb’s party on the Saturday too. That means you can climb for just £4.75 – what a bargain! Simply show your loyalty card as proof of your visit to get the discounted price. Air Trail have 3 fun filled sessions planned on the day also with plenty of fun games, music, goodies and cake on offer as well as over 40 unique climbing challenges. Get refuelled after your session at The Barrage Cafe where food and refreshments will be on offer too. So what are you waiting for – grab your tickets here now for a weekend full of birthday party celebrations!